These Franklin fixtures are well made and stylish. The price is quite reasonable, and they attach solidly to any sturdy surface. I also have the towel bars and toilet tissue fixture. The overall appearance is quite impressive. 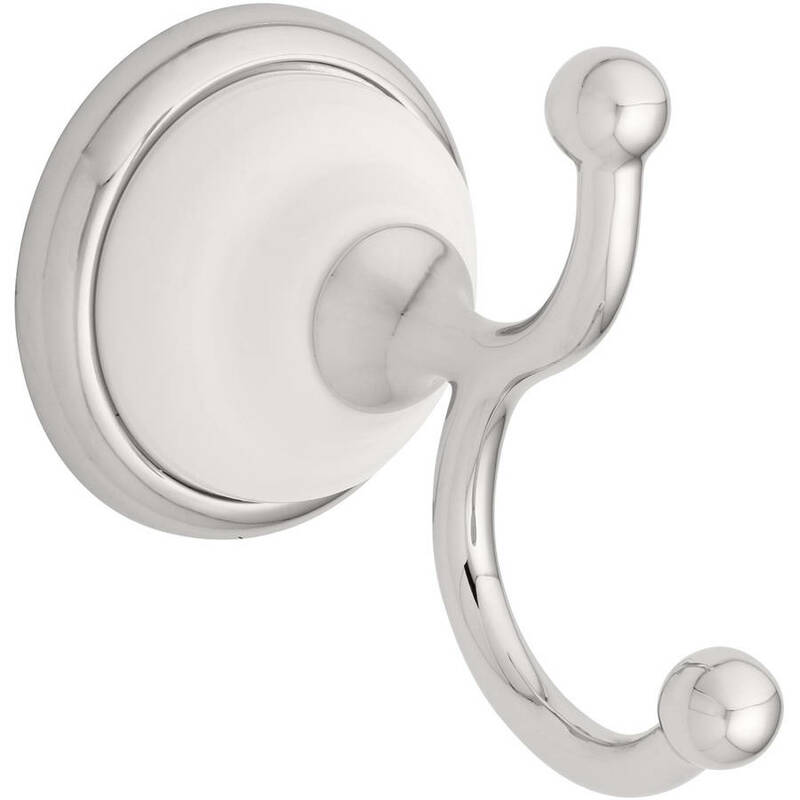 Home territory searches the web to find the best prices and availability on Bath Robe Hooks and related products foir your home like Franklin Brass 126881 Polished Chrome and White Bellini Double Robe Hook. For this page, related items include products we find that match the following keywords: "Robe Hook" at our vendor partner Walmart - Click More Info / Buy Now to check for price rollbacks!. Franklin Brass 126881 Polished Chrome and White Bellini Double Robe Hook is one of 83 Bath Robe Hooks and related products available for sale through HomeTerritory.com, If you have any questions on this product, please give us a call at 734-971-1210 during the hours of 9am - 5pm EST for assistance. Thank you for shopping at Home Territory, the home furnishings superstore!